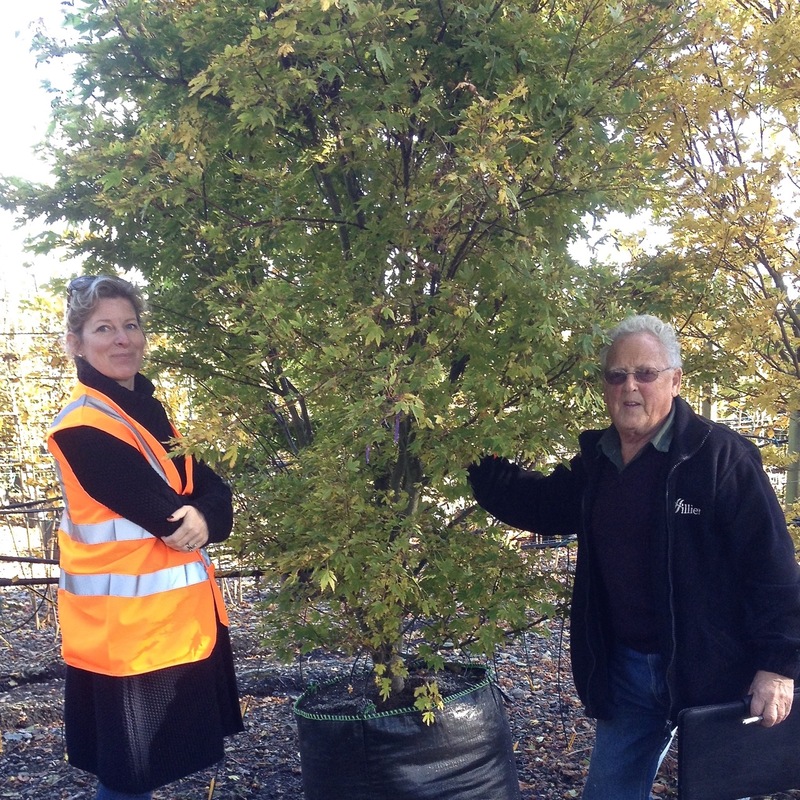 Last Monday I spent the day at Hilliers tree nursery in Ampfield, Hampshire. They are a terrific source of British field grown trees & are fairly local to me which is all great. As I’ve mentioned previously, I’m working on a substantial Acer glade for my client Jane, so went with my colleague Rob Jones of The Garden Design Co Ltd as he & his team are implementing the scheme for her. We had a wish list of what we wanted & had reserved some on principle but, it’s really important when buying large expensive specimens that you are really happy with the them, so we always try & see them personally in three dimensions before buying. The sun shone & we had a such an interesting time being driven around on a tree safari by the incredibly knowledgable & patient Ricky. We’d stop & hop out to look at some great specimens & if they were available we’d bag them for Jane. My list was quite restrictive as no purple foliage was included. Jane & I felt they wouldn’t really work within the whole woodland area – lovely as they are. I therefore had to be very firm & stick to my list no matter how tempting some of the beautiful purple foliage was! My scheme has to work well through summer by giving a delicate green & pink tinged feathery foliage & texture to Jane’s existing woodland & driveway, then give a spectacular fiery show in autumn. The colours have to blend from orange to red to magenta to pink to orange to buttery yellow. This was something of a headache to work out if I’m honest & took quite some time but when it’s planted should look wonderful next year. In the afternoon James Hillier showed us some other types of trees also on our list for elsewhere. 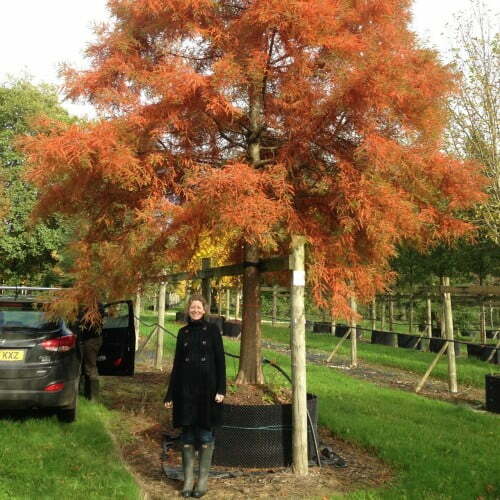 My absolute favourite was this Taxodium – what an absolute stunner! 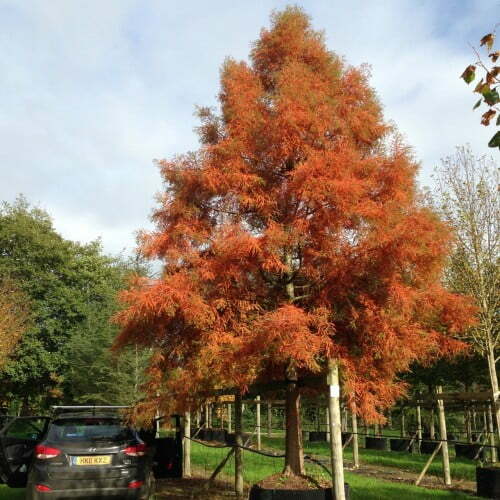 We had previously tagged a Metasequoia glyptostroboides but when we saw it after seeing the fantastic Taxodium we made a swap. That’s why it’s really worth seeing trees in the flesh – ideally when they are doing whatever it is they do best. This Taxodium is to sit at the end of the driveway being reflected in a large pond. 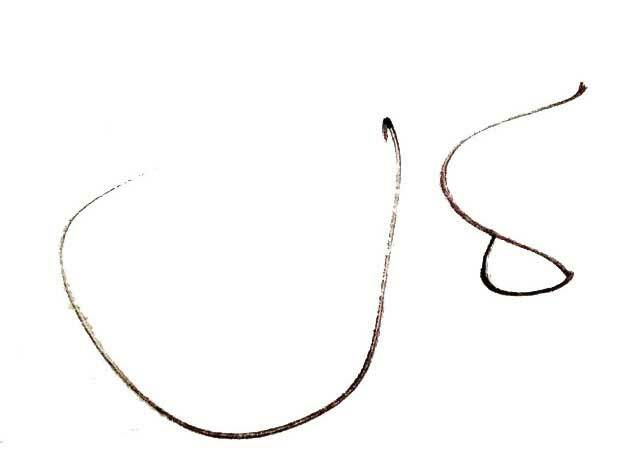 In autumn next year it will provide a spectacular punctuation mark. 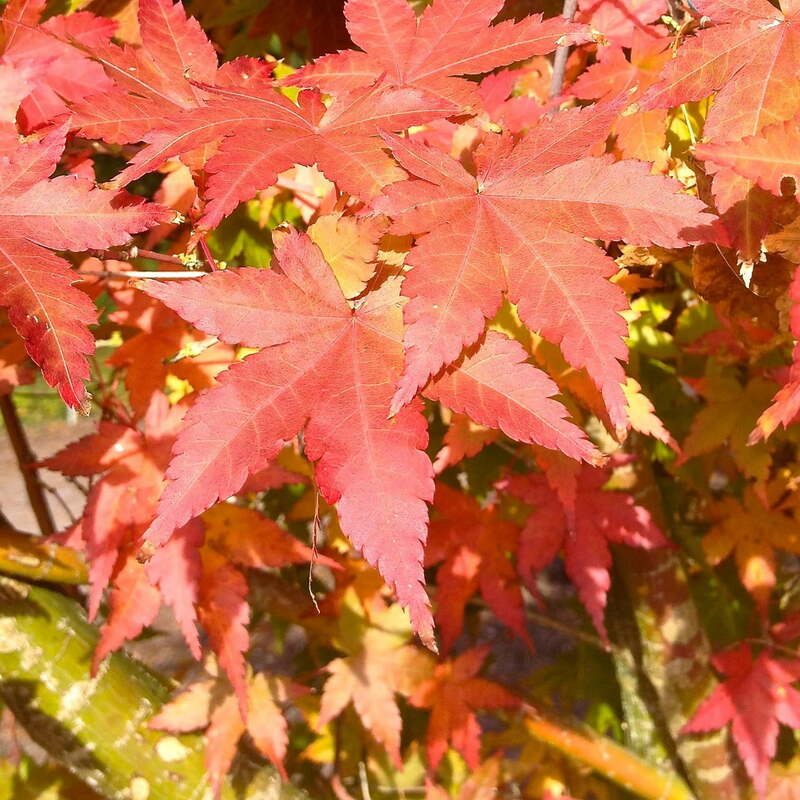 Some types on my list such as Acer butterfly weren’t available at the nursery & their alternatives were just too small & would be dwarfed even if mass planted beside these mature specimens. So the search goes on! It’s possible we’ll be off to Tuscany for the day to see what Vannuci has to offer to fill in the gaps. It’s such a hard life being a designer (she smiles).